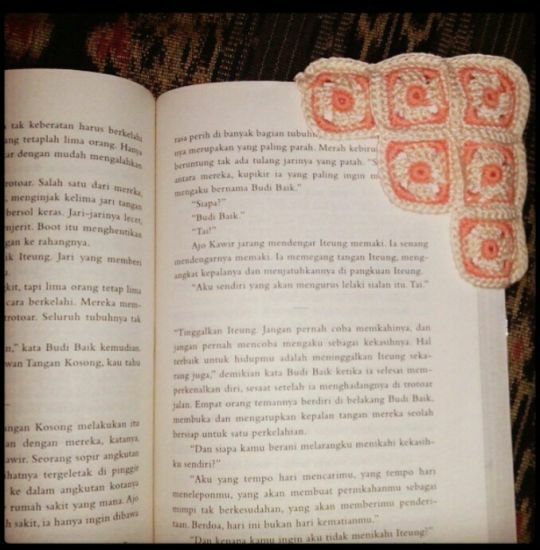 I enjoy to make and use these bookmarks because it relates my hobbies: reading and crocheting. I made it with granny square pattern so that the results can be stiff. if only I liked sewing together granny squares. I’d be making a bunch of these!